We held our annual Macmillan Coffee Morning in the church hall on Friday 30th September, with a cake stall, raffle and refreshments. A total of £290 was raised for the Charity. On Saturday evening 1st October, about 60 people “eyesed-down” in the Church Hall for our “Harvest Bangers Beans & Bingo” evening. There was a fairly “hi-tech” Bingo machine which lit up the numbers as they were called - which we had borrowed for the occasion. We started with short instructions for those unfamiliar with the rules of the game and there were prizes per “line” and “house”. Part way through we stopped for supper - sausages, baked beans and bread rolls, washed down with tea and coffee. I had not realised that anyone could be quite so bad at playing Bingo as I appeared to be - or that it could be so much fun! Our raffle made £58 each for Waterlooville Food Bank and Two Saints Centres. The service included the tale of Monte the Mouse who took his food supply for granted until his host family, the Bells, moved away. Fr Mike had asked for mice (the soft toy variety) to use during the story, and a selection had arrived (I had found a grey one lurking in IKEA so brought him along). Different sections of the congregation produced noises to augment the story - mousey squeaks, munch food, splish splash water etc. We joined in enthusiastically, and I wondered what the other St George’s made of our “congregational sound-effects” and hoped they thought we were merely a very “jolly” church. During the service food, toiletries and cleaning products were brought to the altar, later, after Evensong they were boxed ready to be distributed to Waterlooville Food Bank and Two Saints Centre. The service is available to view on the church website. 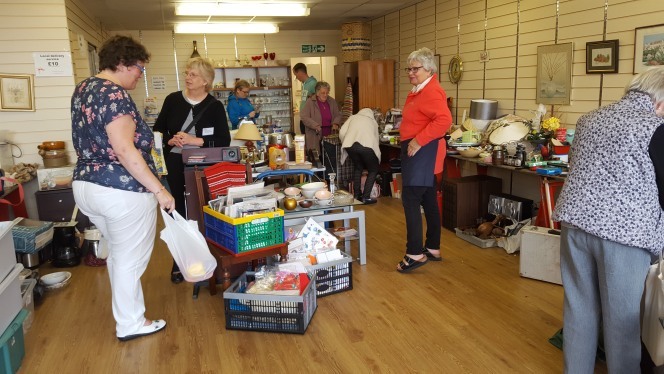 The Church Shop opened for a fortnight from September 26th, and was a huge success raising in excess of £4,000. 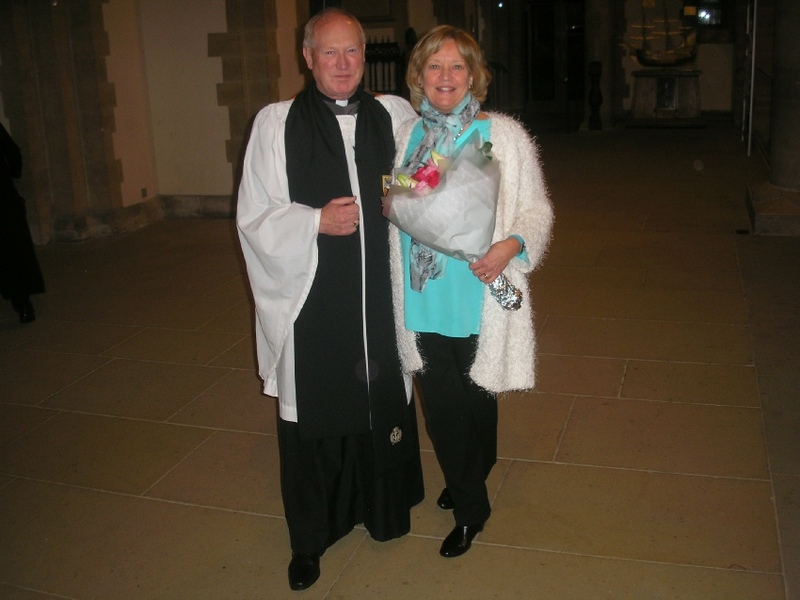 On Sunday 20th November Fr Mike was installed as an Honorary Canon of Portsmouth Cathedral. The news came too late for proper coverage in this issue, an article from Fr Mike about this appointment will appear in the next issue of the magazine.